The loss of a significant amount of weight (also known as massive weight loss) is a feat which deserves significant praise. However, during the heavy weight, the skin was stretched to a degree that may not completely retract once the weight is lost. Many patients develop excessive skin (panniculus) which hangs and can cause issues with hygiene, rashes, musculoskeletal dysfunction, and pain. This excessive skin does not have to be a permanent detriment. 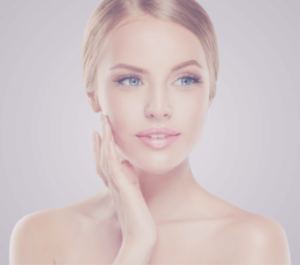 There are many procedures that are designed to address the sagging excessive skin and rejuvenate the contour. What are the Benefits of Post-Weight Loss Surgery? What Procedures are Available after Post-Weight Loss? Depending on the problematic areas, various procedures may be performed to restore shape and contour. Abdomen: A tummy tuck or abdominoplasty is a procedure in which the surgeon removes excessive skin from the abdomen. During this procedure, the surgeon often re-tightens the abdominal muscles to improve the overall contour and redrapes the skin downward. A panniculectomy procedure is a method by which the surgeon removes the excessive overhanging skin from the abdominal and groin areas. While similar to an abdominoplasty, a panniculectomy does not involve redraping of the skin downward. This procedure may be combined with other procedures such as a circumferential body lift (see below). Face and Neck: A face and/or necklift is a procedure whereby excess skin is removed similar to a traditional facelift. Breast: Breast augmentation, breast lift, and breast reduction are procedures which may be performed to improve the sagging appearance and rejuvenate the appearance and shape of the breasts. Unique to breast lifts after weight loss is a technique called auto-breast augmentation. In this procedure, the surgeon utilizes the excessive skin leftover from weight loss, and he repositions the tissue to increase the volume of the breasts. Upper Arms: An arm lift (brachioplasty) is a procedure in which the surgeon surgically removes excessive skin and fat to improve the contour. Midsection, buttocks, and thighs: A circumferential body lift (belt lipectomy) is a procedure in which the surgeon removes excessive skin and fat in of the abdomen, outer thighs, and lower back in a circumferential fashion in order to provide a lifting and tightening of the midsection of the body. Thigh lift: A thigh lift (thighplasty) is a procedure in which the surgeon removes excessive skin and fat from the thighs in order to lift them to improve contour and reduce issues such as rashes. Many times, one or more of the procedures above may be combined into one surgery. For example, it is common to combine procedures such as an abdominoplasty and brachioplasty or breasts. For the safety of the patient, the number of procedures which may be performed at the same operation may be limited to reduce the patient’s anesthesia time. Because of this, your surgeon may recommend more than one stage of surgery to achieve your goals. 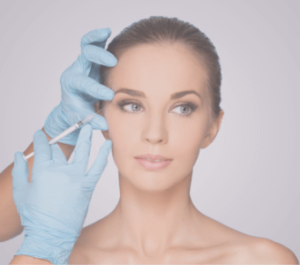 As with all contouring procedures, the patient should be willing to accept a scar for a better contour. Since surgery after weight loss is highly variable depending on each individual, anyone who is considering this type of surgery should seek a board certified plastic surgeon such as Dr. Williams who can evaluate individual needs and recommend a treatment plan. For more information on Post-Weight Loss Surgery, or to schedule a consultation, call Peak Rejuvenation at (970) 259-5990 or Request a Consultation.